We offer FREE shipping ($21. value) for orders of the Classic 3/8 that are placed by phone on our toll free number 1-877-986-9400. We offer FREE shipping for online orders of Dowelmax Classic and drilling accessories over $325. We offer FREE shipping in North America for the RTL Router Lift. Our standard shipping charges are generally below the actual cost from the post office and there are no charges for handling. Dowelmax Classic and Junior orders are shipped by insured and tracked Canada Post or USPS parcel with an expected delivery time of 5-7 business days. We offer FREE Shipping for international orders over $379. 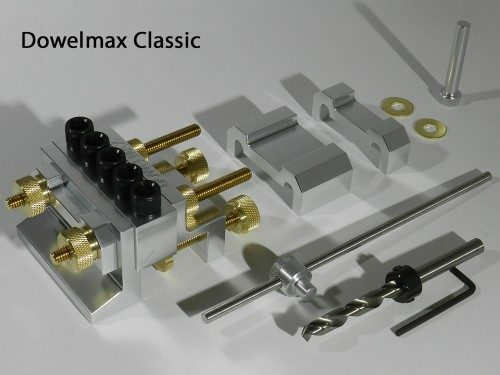 We offer half price shipping for orders of the Dowelmax Classic 10mm which is $249. plus $45. = $294. for example. The shipping rate of $45, is a flat rate and will not increase for additional items. The actual cost of shipping for international orders from Canada Post is normally around $100., and only half the amount is charged. For international orders we recommend reviewing the optional angle bracket for T-type joints and the optional miter accessory for end type miters to determine if they are required in case future shipping charges can be avoided. Dowelmax Classic orders are shipped by insured and tracked Canada Post Xpresspost parcel with an expected delivery time of 2-3 weeks. Please note that local sales tax is not by our company, and may be collected by the post office in the destination country, which is the responsibility of the customer. 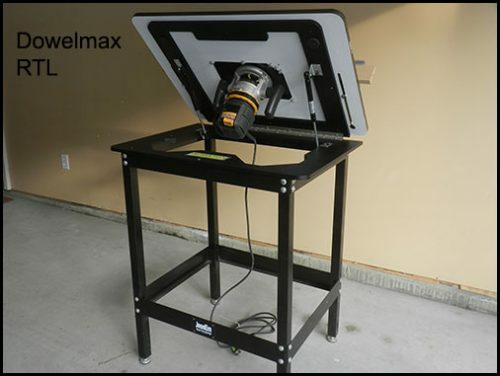 Due to the size and weight, the Router Table Lift is shipped by standard parcel at a cost of $75., and delivery is 4-5 weeks. Please note that we do not ship the Dowelmax Classic to the United Kingdom or Ireland, and that orders in these countries are handled by our distributor Dowelmax UK. We guarantee that joints made with Dowelmax are stronger than mortise and tenon joints, and that the Dowelmax Classic and Junior systems are more accurate than any M&T or loose tenon system on the market. 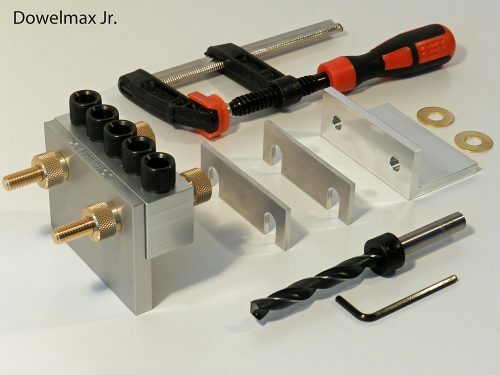 If you are not 100% satisfied with your purchase of a Dowelmax Classic, Dowelmax Junior or RTL router lift, you can return it within 60 days for a full refund. Dowelmax hardened steel drill guides carry a 5 year warranty against defects or wear. All other Dowelmax joining system components with the exception of the drill bit carry a lifetime guarantee against defects or wear. The above warranty does not cover misuse or damage by accidental dropping of the device. The RTL lift system carries a 5 year warranty against defects or wear. For questions on Dowelmax products or applications, please use the form below, or contact us by email or telephone. We try to respond to emails on the same day, or within 24 hours.